This monitoring strategy, called UgandaWatch, included a citizen hotline that allowed citizens to text in electoral violations and other concerns about the integrity of the electoral process. The information was collected and organized by the monitoring organizations and digitally mapped on the UgandaWatch website; the aggregated data indicated which electoral problems were most prevalent and which parts of the country experienced the most incidents. The goal of the initiative was to increase both conventional and nonconventional political participation through mobile phones and crowdsourcing platforms, thereby increasing the level of citizen engagement in Uganda. Though thousands of citizens actively participated in the program—including those who normally did not participate in the political process—the initiative was not entirely successful due to three factors: lack of feedback mechanisms, prohibitive cost to participation, and inadequate promotion. (demand for democratic institutions is not satisfied by existing conditions). 2. Utilize the SMS hotline and mobile technology as a platform for electoral participation and monitoring. a more aggressive promotion strategy. National Democratic Institute: NDI is a nonprofit, nonpartisan organization that works to support and strengthen democratic institutions across the world. The organization focuses on projects that enable citizen participation, openness and accountability in government through establishing and strengthening civic organizations and safeguarding elections. In Uganda, NDI provided technical assistance and support on the development of the hotline, working with the Ugandan technology vendor Mountbatten Ltd. on a platform that accommodated SMS, reporting, and an interactive website. NDI is a leader in the new wave of election monitoring technologies with the use of parallel vote tabulations to provide independent vote counts as a check on election authorities. Democracy Monitoring Group: DEMGroup is a consortium of four civil society organizations including the Uganda Joint Christian Council, Action for Development, Transparency International Uganda, and the Centre for Democratic Governance. The main goal of DEMGroup is to foster free, fair and transparent elections by providing systematic information on the electoral process, deterring electoral malpractices and human rights violations, and enhancing public confidence in the electoral process. Citizens Coalition for Electoral Democracy in Uganda: CCEDU is a broad coalition that brings together over 800 like-minded civil society organizations and over 8,000 individuals to advocate for electoral democracy in Uganda. The mission of the organization is to increase transparency, integrity, and democratic participation in Uganda’s electoral process. CCEDU engages in advocacy for electoral reforms and encourages active civic participation in electoral processes. Citizens Election Watch-IT: CEW-IT is involved in innovative methods of election monitoring, social accountability, promoting good governance, and empowering citizens. It is composed of a consortium of Ugandan NGOs: Rwenzori Consortium for Civic Competence, Public Affairs Center, Community Empowerment for Rural Development, Agency for Cooperation and Research in Development, Development Network of Indigenous Voluntary Associations, and the Foundation for Human Rights Initiative. The 2006 elections in Uganda marked the country’s first multiparty contest in 26 years. In an effort to assess the electoral conditions in Uganda leading up to the election, Human Rights Watch visited districts across the country and interviewed over 100 people, including candidates from the ruling and opposition parties. Though there was considerable enthusiasm surrounding the elections, there was also uncertainty as to whether incumbent President Yoweri Museveni and his ruling party, the National Resistance Movement, would respect the outcome of the election. The HRW report describes the electorate as “gripped alternately by excitement with multiparty elections and fear that the government [was] not committed to upholding fundamental human rights.” In addition to facing an abusive and undemocratic ruling party, electoral institutions in Uganda were unprepared to conduct democratic elections. HRW determined that the Ugandan Electoral Commission was inadequately prepared to ensure free and fair elections following reports of inaccuracies and deficiencies in the voter register, missing voter cards, and poor voter education. The Electoral Commission substantiated the report, adding that it did not have enough police to guard polling stations. The report concluded that the conditions for a truly free and fair election in Uganda were lacking, citing human rights violations perpetrated primarily by the government and President Museveni’s ruling NRM as evidence. International election observers and domestic monitors reported significant violations of electoral law and protocol during the 2006 Ugandan elections. These violations included disenfranchisement of voters, counting and tallying irregularities, use of state funds for campaign activities, and the incarceration of political leaders. Max van den Berg, the EU’s chief observer, said the opposition’s campaign was hampered by numerous court appearances which were fabricated in order to damage the candidate politically. The EU also reported that Musevini’s grip on the country’s media created an unlevel playing field. Despite the irregularities and unfair campaign activities, Uganda’s Electoral Commission declared Musevini the winner with 59% of the vote, prompting the opposition leader to reject the result of the general election. Kizza Besigye, leader of the opposition party Forum for Democratic Change (FDC), said he would not accept the official outcome of the election because of “widespread irregularities” and “gross unfairness” during the campaign. In April 2006, Besigye’s presented a request to dismiss the election results to the Ugandan Supreme Court. Though a majority of the judges agreed that there had been electoral irregularities, the Supreme Court rejected his request and Museveni retained the Presidency. Prior to the 2011 elections, several organizations in conjunction with NDI launched UgandaWatch, a platform designed to head off potential repetition of the problems of 2006 and meet the demand for integrity in the electoral process. With expanded mobile coverage and access to mobile devices and services in Uganda, the concept of open crowdsourcing became a viable method of election monitoring. Quantitative studies have demonstrated a correlation between information and technology (ICT) use and civic and political engagement, making ICT a tool that electoral organizations can use to increase both traditional and nontraditional political participation. Crowdsourcing also enables distributed and decentralized interaction and is shown to motivate political participation by giving citizens a direct channel through which they can report election irregularities and monitor government activities. 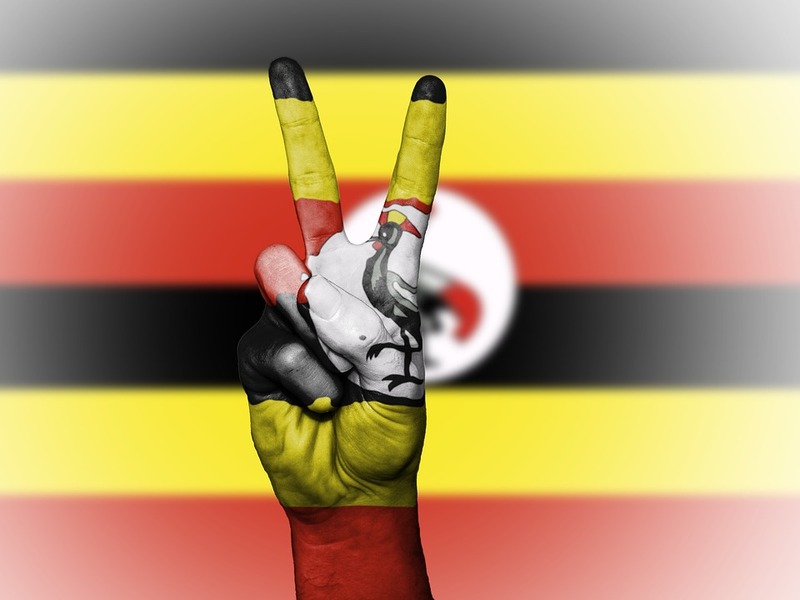 In an effort to capitalize on this new method of political participation and promote equality of citizen engagement in Uganda, NDI partnered with domestic NGOs to launch an open crowdsourcing platform called UgandaWatch before the 2011 elections. UgandaWatch was promoted via radio jingles, newspaper advertisements, t-shirts, and flyers. As part of the public outreach, DEMGroup worked with Ugandan recording artist Bobi Wine to compose a song on the importance of civic engagement and reporting electoral irregularities. The UgandaWatch platform collected data during the whole electoral process, starting with voter registration in June 2010 and ending with post-election activities in March and April 2011. One part of UgandaWatch was a hotline, which citizens used to text in concerns about the integrity of the electoral process. In the SMS, citizens indicated what happened as well as the time and place of the irregularity. Reports were manually verified, geotagged, categorized, and published on a public website by a team volunteering for DEMGroup. The online map allowed users to sort by issue and region, showing which electoral problems were the most prevalent and which parts of the country experienced the greatest number of incidents. The program’s user data was collected from two different sources: an SMS questionnaire and focus groups. The SMS questionnaire was sent out to a random sample of 1,800 users, and provided quantitative data about the users. The focus groups consisted of three to eleven participants and provided more qualitative information. UgandaWatch users sent more than 10,000 reports of electoral irregularities over the course of the election. Issues included voter buying, registration hiccups, inappropriate campaign conduct, violence, and other more general complaints. The majority of users participated because they hoped it would improve Uganda’s electoral and political landscape—71% of survey respondents said the single biggest reason for their participation was to “Help [their] country.” The open crowdsourcing platform also provided a convenient, confidential channel for reporting irregularities, which was critical to the program’s success. Focus group participants stressed that they would not have reported the incidents they witnessed due to limited trust in established government bodies, such as the Electoral Commission and the police. UgandaWatch provided a space for citizens to report without being identified or “branded” by local elites; for example, users who submitted instances of “ghost polling stations” felt protected by reporting to a third party instead of to officials in their district who may have played a part in setting up the ghost stations. Crowdsourcing also increased participation in groups that did not normally participate in electoral processes—16% of the crowd used UgandaWatch but did not vote, indicating the program provided an alternative channel for participation in the electoral process through reporting instead of voting. Though UgandaWatch succeeded in eliciting thousands of reports during the 2011 elections, the platform faced challenges during its implementation that suggest open crowdsourcing will not replace traditional ways of political participation in Uganda. First, despite the active reports of electoral fraud submitted via SMS and subsequently posted online, DEMGroup either largely ignored the reports or did not know how to follow up. This lack of response can be attributed to the group’s lack of organizational know-how and capability. Second, although the founding organizations conducted an extensive, nationwide marketing campaign, UgandaWatch had limited reach: more than half of a representative sample of Ugandan mobile phone users had never heard about the program. Finally, the UgandaWatch users did not represent the Ugandan population as a whole, with 87% of the program’s participants reporting as male and 43% reporting as individuals under 25 years old. 2. Lack of feedback: UgandaWatch was not interactive enough; it lacked a citizen engagement strategy and feedback mechanism. officials and civil society representatives, newspapers, radio reports, and TV spotlights. used, how to use it, and what increased participation might achieve. An additional area of research would be the mobile phone gender gap with regard to political participation, which would address the 87% male vs. 13% female disparity in survey respondents. A 2013 Financial Inclusion Insights study found that men in Uganda were 21% more likely to own a mobile phone than women and 21% more likely to own a SIM. Women tend to experience certain barriers more acutely than men, with cost being the most significant barrier overall to owning and using a mobile phone. In order to mediate the gender gap in mobile phone ownership, the cost of ownership must decline—this can be achieved by subsidizing handsets or making credit more accessible for handset purchases. - “Bridging the gender gap: Mobile access and usage in low- and middle-income countries.” GSMA, 2015. Web. - Campbell, Denis. “Uganda hit by violence as opposition claims election fraud.” The Guardian. Feb. 2006. Web. - “Citizen Hotline Launched Ahead of Ugandan Elections.” NDI, 2011. Web. - “Citizen Participation and Technology: An NDI Study.” NDI, 2013. Web. - “Democracy Monitoring Group Uganda.” LinkedIn, 2017. Web. - Hellstrom, Johan. “Crowdsourcing as a tool for political participation.” International Journal of Public Information Systems. IJPIS, 2015. - “Mapping the Gender Gap.” Financial Inclusions Insights, 2013. Web. - “Who We Are.” NDI – National Democratic Institute. NDI, 2017. Web.